Grants, loans and scholarships are essential resources for students who need help paying for higher education. College financial aid addresses the general needs of the entire student body, but it is also used to promote the interests of specific groups of university students. Women, minorities, disabled individuals and other blocks of students have unique access to financial aid funds that are not available to the general college population. As you wade into the sea of student aid, keep your cultural background in mind. If you come from Spanish ancestry, you may be eligible for Hispanic-only student aid. As the largest ethnic minority group in America, Hispanics face unique challenges in the pursuit of higher education. Cultural, social, and economic barriers make it harder for Hispanics to graduate from college. The ray of hope for Latino students: a bounty of scholarships designed to create educational opportunities for disadvantaged Hispanics. Loans – College loans originate from public and private sources. The U.S. Direct Loan Program is the best bet for students with limited credit histories. Most private bank loans will require cosigners or co-borrowers, and will come with higher interest rates attached. Government loans offer low, fixed interest rates, as well as grace periods and repayment deferments. But even these attractive subsidized loans must eventually be repaid – with interest. Grants – Serving the neediest students, grants come from a variety of funding sources. Federal Pell Grants represent the biggest slice of the college financial aid pie, but smaller pieces are available in the form of special-interest grants for targeted groups – including Hispanics. Most grants are need-based, but sometimes eligibility requires good grades too. Work-Study – Earn and learn by chipping away at tuition bills with good old-fashioned hard work. On-campus assignments allow students to offset college expenses by working at university facilities like the bookstore, cafeteria, library and financial aid office. Work-study is like getting a loan and paying it off before there is any interest. Scholarships – Like grants, scholarships are allocations of ‘gift-aid’ that does not require repayment. While need is the number one qualifier for most grants, performance is what opens the door for scholarships. In fact, eligibility requirements for many awards contain need and performance-based components like minimum GPA and full-time enrollment status. Since most scholarships originate from private sources, they can be aimed at specific student groups – like Hispanics. Latinos who are good students enjoy access to scholarship programs initiated by corporations, foundations, advocacy organizations and colleges. Your best advantage when pursuing scholarships comes from a combination of traits that make you unique. Scholarship selection committees are often tasked with evaluating candidates on more than one level. Your Hispanic cultural background might be what opens the door, but your ability to excel in other areas is what makes you stand out among your peers. Academic high-achievers are often first in line for scholarship money. Your grades in high-school, as well as your capacity to maintain a strong college GPA are high on most scholarship wish-lists. Exceptional on-field performance is another individual achievement that is coupled with Hispanic cultural ancestry, to qualify for Latino scholarships that help stand-out athletes. Engagement within the Hispanic community is another favorable application entry for scholarship candidates. Some civic-oriented awards expressly require community service, while other scholarships take it into account as a positive extracurricular contribution to society. If you are counting on scholarship money to pay for school, put your best foot forward in every way you can. Use your grades, location, charitable behavior and other unique traits to help leverage your access to Hispanic scholarships. Their reasons for initiating scholarships are as diverse as the groups that fund them. Promoting educational diversity, attracting qualified candidates into specific educational programs, memorializing accomplished individuals and uplifting certain social groups each serve as momentum behind particular Hispanic scholarships. HSF General Scholarships – Applicants must be Hispanic students enrolled full-time in 2-year and 4-year degree programs. To remain eligible for this scholarship, students must maintain B averages. $1000-$5000 awards are given to qualified U.S students, based on FAFSA results and other considerations. Coca-Cola Refreshments West Region Scholarship – Eligibility is open to all ethnic groups, but applicants must be permanent residents of Arizona, California, Nevada, or New Mexico. 25 annual $1000 awards are disbursed to students studying at universities and community colleges. Colgate-Palmolive Haz La U (Make the U) scholarships promote higher education through 15 distinct Hispanic awards. Each year, a single winner gets a one-time college scholarship worth $15,000, and 14 others receive $2,500 each towards school expenses. Discover partners with HSF to administer college financial aid to Hispanic students. Scholarship eligibility is limited to students pursuing 4-year degrees in Arizona, California, Connecticut, Delaware, Illinois, New York, Ohio, Texas or Utah. To qualify for the $5,000 scholarships, submit a resume and a FAFSA. Applicants should be enrolled in degree programs serving the following fields: Business Administration, Finance, IT, and Marketing. The Macy’s scholarship is available to Hispanic students enrolled at approved universities. Your Hispanic heritage and 3.0 GPA are requisite for application to this bachelor’s degree oriented program. The Hispanic Heritage Foundation is an advocacy group that promotes Latino causes – including education. The Foundation maintains this list of student scholarships. Extraordinary civic leaders are recognized annually at the group’s Hispanic Heritage Awards. The Hispanic College Fund is dedicated to Hispanic education, providing resources for high-school and post-secondary students. The organization’s College and Career Institute provides financing and advisory assistance to Hispanic students maintaining GPA minimums above 3.0 at accredited colleges. The Hispanic Association of Colleges and Universities (HACU) delivers information about Hispanic institutions of higher education. Partnerships with public and private interests like Gap, General Motors, and Home Depot provide funding for these awards. All HACU scholarship recipients demonstrate a balance of academic achievement and financial need. Monetary awards range from $1,000 to $2,800. For Hispanic students interested in journalism and broadcast media: The National Association of Hispanic Journalists (NAHJ) Scholarships award between $1,000 and $5,000 to each winner. Corporate and personal donations fund the scholarships, which apply to English and Spanish speaking professionals. Hispanics studying emerging technology in certain subject categories gain access to career-specific financial aid, including scholarships for STEM subjects (science, math, engineering, technology). The disciplines cover dozens of specialties like anthropology, chemical engineering, web development and tropical ecology. Scholarships by subject are particularly rich in cutting-edge content areas. Specifically, there are many good minority programs – particularly for students enrolled in STEM fields of study. A $1 billion scholarship pot of gold funds the generous Gates Millennium Scholars Program. These timely and competitive awards are specially designated to support minority students entering STEM, library science, public health, or education fields. What makes the GMS program stand out is an ongoing commitment to student academic support. Advisory services come with the scholarships, along with a network of information and assistance that help you complete your degree studies. Xerox Foundation, through its Hispanic College Liason Program, provides institutional funding to colleges like Polytechnic Institute and University of Texas, which is specifically earmarked for advancing minority education within science and technology fields. Professional membership organizations that represent individual vocations often promote education through scholarship initiatives. The National Association of Hispanic Nurses disburses scholarships to members who demonstrate need and aptitude. Networking opportunities and industry updates. Leverage your scholarship opportunities by becoming a member in a local chapter or campus-based organization that represents your profession. Most scholarships are only offered to members, so your initiative is rewarded with access to low-competition scholarships that serve your cultural heritage and your professional aspirations. There are a significant number of scholarships open to illegal immigrants; those students seemingly without a country. Microsoft scholarships don’t require applicants to prove citizenship – only a commitment to computer science or a closely related major. Applications fall into four distinct award categories: women, under-represented minorities, general scholarships, and students with disabilities. Winners must agree to engage in summer internships with the Microsoft Corporation. Gloria and Joseph Mattera Scholarship – Migrant students enrolled in college or other post-secondary education programs are eligible for up to $500 in tuition assistance. Migrant Farm Worker Baccalaureate Scholarship is funded by an anonymous donor who awards college aid to a student who has successfully completed a full year of college. The scholarship covers the portion of tuition, housing, and books that goes beyond federal and state financial aid. Margaret Raley New York Migrant Worker Scholarship aids a student with a history of migrating for work within the state of New York. Worth $500 annually to a single student, or split between multiple applicants. Berrien Fragos Thorn Arts Scholarships for Migrant Farm Workers recognizes artistic aptitude in the areas of visual, performance, literary, and media arts. Juanita Crippen Memorial Scholarships provide up to $500 each for Hispanic migrant students who exhibit caring and giving attitudes toward others. Being female makes you eligible for another category of specialized scholarships. As you work to cover college costs, apply for gender-specific scholarships, but also look for funds that exclusively target women of Hispanic descent. Microsoft Scholarships go specifically to women and underrepresented minorities, apply in both categories if you’re eligible. Through funding from the Hispanic Women’s Council of Northern California, the Hispanic Foundation of Silicon Valley administers the Silicon Valley Latina Scholarship Fund. Applicants must be enrolled in 4-year programs to be eligible for one of the three $1000 annual awards. 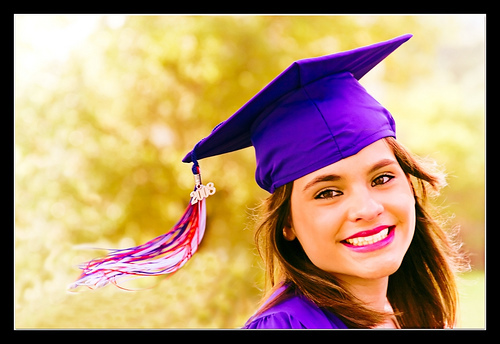 Hispanic Women’s Corporation extends educational benefits to Hispanic women through 50 annual scholarships ranging from $1000-$20,000 each.